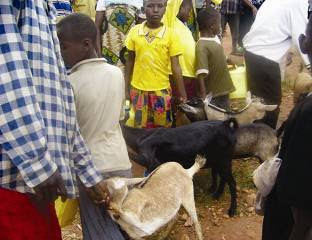 Families and children enrolled in Food for the Hungry's Child Development Program in Kiyonza recently received goats! These little livestock were provided to the families in extreme need in order to increase food and land production. Weather conditions don't allow these families to harvest until this spring but we can expect exciting impact with these goats in the very near future!